Is Africa Still the Next Playing Field for Cryptocurrency? Bitcoin, a Criminal's Best Friend? United Nations — Cryptocurrency is not bound by geography because it is internet based; its transactions are stored in a database called blockchain, which is a group of connected computers that record transactions in a ledger in real time. The difference between cryptocurrency and, say, Visa or Mastercard, is that a cryptocurrency is not now regulated by government and doesn't need middlemen, and transactions rely on the internet, which means they can happen anywhere in the world. The big cryptocurrency global brands include Bitcoin, Litecoin, XRP, Dash, Lisk and Monero, but Bitcoin leads the pack in Africa. 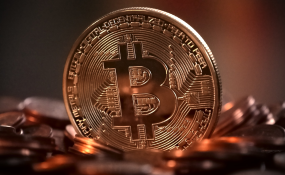 Created in 2009 by a person or people with the alias Satoshi Nakamoto, investors hope Bitcoin becomes the new mode of financial transaction in the digital age. "Africa is rarely mentioned among the largest markets for cryptocurrency, but it may be set to steal a march over other markets," says Rakesh Sharma, a business and technology journalist. Sharma says that citizens of countries battling high inflation are likely to opt for cryptocurrency, because "with their paradigm of decentralization, cryptocurrencies offer an alternative to disastrous central bank policies." South Sudan's inflation rate was 102% between September 2016 and September 2017, according to the World Bank. Other countries with double-digit inflation rates include Egypt, Ghana, Malawi, Mozambique, Nigeria, Zambia and Zimbabwe. It is no surprise that some of these countries are among the main Bitcoin economies in Africa. The main Bitcoin countries are Botswana, Ghana, Kenya, Nigeria, South Africa and Zimbabwe, according to gobitcoin.io, a website dedicated to Bitcoin news in Africa. The BBC adds that cryptocurrency is gaining ground in Uganda. When Zimbabwe's inflation skyrocketed in 2015, forcing authorities to print $100 trillion notes (each worth just $40), some Zimbabweans turned to Bitcoin. Zimbabweans and citizens of other African countries transact in Bitcoin "as opposed to their local currencies, which are plagued with hyperinflation," comments Emmanuel Tokunbo Darko, vice president of marketing for ICOWatchlist.com, a platform that hosts cryptocurrency tokens. There will be 725 million mobile phone subscribers in Africa by 2020, according to the GSM Association, which represents the interests of mobile operators globally. That means more Africans will have the tools to plug into the cryptocurrency ecosystem, says Sharma. "I check my Bitcoin every day [on my mobile phone] and any chance I can get. Any minute, any hour, anytime, as often as I can," Peace Akware, a Ugandan millennial, told the BBC. That African governments are not now regulating cryptocurrency may be a factor spurring its growth on the continent; however, there is no guarantee that governments will not change their current mindset. Rather than simply not wanting to, governments may be powerless to regulate cryptocurrency, the Nigerian central bank indicated recently. Currently tackling the country's 12% inflation rate, the Nigerian apex bank announced that it could not control or regulate Bitcoin, "just the same way no one is going to control or regulate the internet. We don't own it." Fearing a collapse of the banking industry or arbitrary appropriation of money by the government, Africans without access to banks and who live in politically unstable countries could be attracted to cryptocurrency. "Bitcoin transactions help to eliminate the procedural bottlenecks that plague traditional banking and financial services," Darko explains. Some 15 cryptocurrency-related operations began in Africa in the past year alone, reports Sharma. But South Africa-based Luno Exchange, established in 2013 and now boasting 1.5 million customers in over 40 countries worldwide, is the first to be based in Africa. Others, particularly cryptocurrency-based remittance services, are popping up in various countries. These services include Abra, which operates in Malawi and Morocco, GeoPay in South Africa, BitMari in Zimbabwe and London-based Kobocoin, which was launched by Nigerian entrepreneur Felix Onyemechi Ugoji. The Plaas Application is a mobile app that enables farmers to manage their stock on the blockchain. Launched in 2013, Kenya's BitPesa facilitates virtual remittances transfers to both African and international locations, to and from individuals' mobile wallets, where cryptocurrency is stored. LocalBitcoins.com in Kenya reported trading volumes in excess of $1.8 million as of December 2017, underlining the lucrativeness of the business. "I started mining Bitcoin [in Nairobi, Kenya] in September 2017 and, so far, this is the best business I have ever tried," Gladys Laboi told Africa Renewal, adding: "Under six months, I earned $800 after investing in $700." Not to be left out, some governments are moving into the virtual currency terrain. Tunisia's eDinar is a government-issued digital currency. Senegal is in the process of creating eCFA, which, if successful, could be emulated by other Francophone countries in Africa. There will be government-issued cryptocurrencies in Africa in the near future, predicts Shireen Ramjoo, ceo of Liquid Crypto-Money, a South Africa-based cryptocurrency consulting firm. Industry experts believe that cryptocurrency will be around for years. That Bitcoin users can send money to just about anywhere there is an internet connection for relatively small fees and with no third-party interference is an advantage that standard government-issued currencies cannot offer. "Every single computer device on the surface of the planet with an internet connection can access information on the blockchain and make 'transactional' inputs onto it. The information cannot be distorted, deleted, modified or destroyed, and [the] computer device has the same information as everybody," says Darko. Another recommendation is that transactions are anonymous, and users' information is private and safe; there is little possibility of identity theft, which is common with other forms of digital payment. As of December 2017, the global demand for cryptocurrency had increased to the extent that a Bitcoin sold for $20,000. Its value had been $1,000 one year prior. Nevertheless, some industry watchers refer to cryptocurrency as a risky and temperamental scheme, citing the crash to $8,700 in the value of Bitcoin last February, from a high of $20,000 in December 2017. Without regulations, cryptocurrency is a double-edged sword; there may be gains from time to time, but any precipitous crash in price could leave investors with no escape route. Manasseh Egedegbe, an investment manager based in Nigeria, says that Bitcoin's frenzied price surge seems like the dot-com bubble at the turn of the millennium. There is also the fact that cryptocurrency can be used by criminals to funnel funds. In 2011 Bitcoin was a currency of choice for drug peddlers, according to the US Justice Department, which seized almost $48 million worth of illegal contrabands that year, and discovered that the criminals involved had made transactions totaling 150,000 Bitcoins (approximately $130 million. Countries such as Bangladesh, Ecuador and Kyrgyzstan believe the risks outweigh the gains and have banned Bitcoin as well as initial coin offerings or ICOs, which are used by start-ups to evade the demand for capital by banks and other financing institutions. Quartz Africa, an online business news publication, reported last December that a similar scheme, Mavrodi Mundial Moneybox (MMM), once had over two million users in Nigeria, while also operating in Ghana, Kenya, South Africa and Zimbabwe. There are reports that South Africa's central bank is actively studying cryptocurrency and may institute guidelines to foster innovation. Those guidelines could be a slippery slope to regulation. The Sunday Times of South Africa reported in March that 27,500 individuals, including South Africans, lost more than $50 million when they were duped into transferring their Bitcoins into an online wallet. The publication called it "one of the biggest scams to hit South Africa." At 22% (the world average is 48%), Africa has the lowest rate of Internet usage of any region, according to a 2017 report by the International Communications Union, which may undercut optimistic projections of cryptocurrency and blockchain technology on the continent. Also, poor power supply in many countries continues to impede the internet access on which cryptocurrency largely depends. Despite some analysts likening Bitcoin and other cryptocurrencies to a Ponzi scheme, many Africans are taking the risk to invest in them.